The experienced Virginia personal injury law firm of Wilson & Hajek focuses on transportation law accidents and a major portion of the firm’s practice is devoted to working with the victims of car and truck accidents. 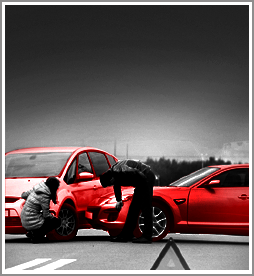 The issues in serious accident cases require serious and aggressive lawyers. At Wilson & Hajek, our personal injury lawyers in Charlottesville take pride in our ability to provide excellent legal representation and maximize a recovery. Our mission is to make a difference in the lives of our clients in Charlottesville, Augusta County, Waynesboro and central Virginia. Why does an aggressive, experienced personal injury lawyer make a difference? Virginia personal injury cases, including car and truck injury cases, are defended by large insurance companies and defense lawyers who specialize in these types of cases. To obtain an excellent result, you need a lawyer who is committed one hundred percent to your case and who has your interests at heart. At Wilson & Hajek, we know all the strategies and negotiating tools that these companies and lawyers use. If we have to go to court to get the best result for you, we go to court and use our experience to fight for you. You probably have a lot of questions about how the process works and what you can expect. You can explore our website to find out the answers, or you can call for a free consultation.